Our very trusted baby brand Johnson and Johnson is in deep trouble. India's drugs regulator has ordered Johnson & Johnson to stop manufacturing its Baby Powder using raw materials in two of its Indian factories until test results prove they are free of asbestos. The official at the Central Drugs Standard Control Organization (CDSCO), said a written order had been sent to the U.S. company telling it to stop using the "huge quantities" of raw materials stocked in its plants in northern and western India. The state-based food and drug administrations launched an investigation into J&J's Baby Powder following a Reuters report last Friday that the firm knew for decades that cancer-causing asbestos could be found in the product. India's second largest IT company Infosys' search for a CFO has finally come to an end. The company announced the appointment of Bharti Airtel's current global CFO Nilanjan Roy as the next Chief Financial Office, effective 1st of March 2019. A veteran at Bharti Airtel, Nilanjan currently handles finance function across India and Africa and prior to that spent close to 15 years with Unilever in their global operations across India, Europe, and the US. The government has sought approval from Parliament for equity infusion worth Rs 2,345 crore into struggling Air India and another Rs 1,300 crore for Air India Asset Holding. As part of efforts to revive the financial fortunes of the national carrier, the government has decided to transfer debt worth Rs 29,000 crore to Air India Asset Holding Company, a special purpose vehicle. The airline has debt worth around Rs 55,000 crore. Finance Minister Arun Jaitley has said the government will infuse Rs 83,000 crore in public sector banks in the next few months of the current fiscal. Earlier in the day, the government sought Parliament's approval for infusion of an additional Rs 41,000 crore in the state-owned banks through the second batch of Supplementary Demands for Grants. This would enhance the total recapitalisation in the current fiscal from Rs 65,000 crore to Rs 1.06 lakh crore. The Lok Sabha on Thursday passed the Consumer Protection Bill, 2018. The bill, which was introduced in the Lok Sabha in January, mandates a harsh penalty and even imprisonment for misleading ads and food adulteration. The bill will now go in the Rajya Sabha for discussion. Once passed, the bill will replace the Consumer Protection Bill, 1986. Chinese smartphone manufacturer Gionee's bankruptcy application has been accepted by the Chinese court in Shenzhen. Once a top smartphone manufacturer, Gionee has reportedly failed to pay its debt from various suppliers. The problem was compounded in November this year when Gionee chairman Liu Lirong reportedly "lost over $ 1.4 billion" while gambling at a casino in Saipan. However, Liu Lirong is still hopeful and has stated that he sees a turnaround in the company's fortune in 3-5 years. A German court has found in favour of US chipmaker Qualcomm in a patent dispute case against Apple, which could lead to a ban on sales of iPhones in Germany. Given that Apple can appeal the initial ruling, the court said the injunction banning sales of affected iPhones can only be imposed immediately if Qualcomm laid down a security deposit amounting to 668.4 million euros (USD 765 million). Thursday's ruling marks a second major win for Qualcomm in a month after a court in China on December 10 ordered a prohibition on iPhone sales over a separate patent dispute there. The investment would create over 8,000 direct and indirect job opportunities in the state, said Ikea in a statement. 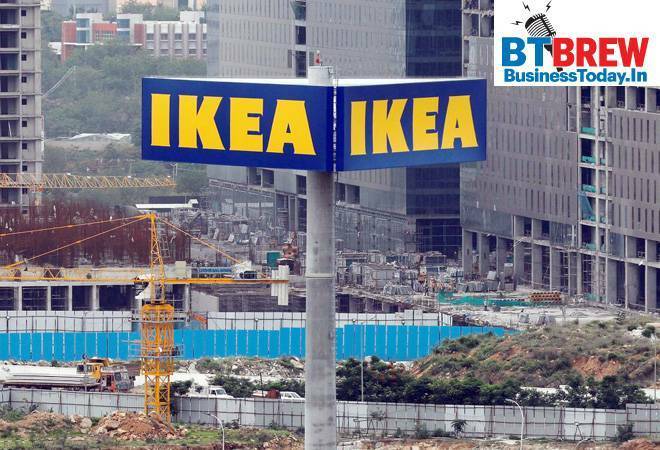 Ikea, which is planning to set-up a large format store in Noida, has signed a memorandum of understanding (MoU) with the Uttar Pradesh government for opening of stores in the state. RBI Governor Shaktikanta Das Thursday said he will meet representatives of private sector banks and cooperative banks next week to discuss issues and concerns. As part of the consultative process, Das finished meeting with the public sector lender on Wednesday.